Come learn about the island’s ecology in a hands-on setting. All classes have a 24-hour Cancellation Policy. Please call (843) 768-6001 for a class schedule and reservations. Have you ever wondered what it’s like to touch an alligator or pet a snake? If so, then Scales and Scutes is the place for you and your young explorer (who has to touch everything!) This short program will focus on the senses, and allow your youngest naturalist to get hands on experience with our native wildlife. Get up close for this unique show and tell. Price: $5 per person (30 minutes). 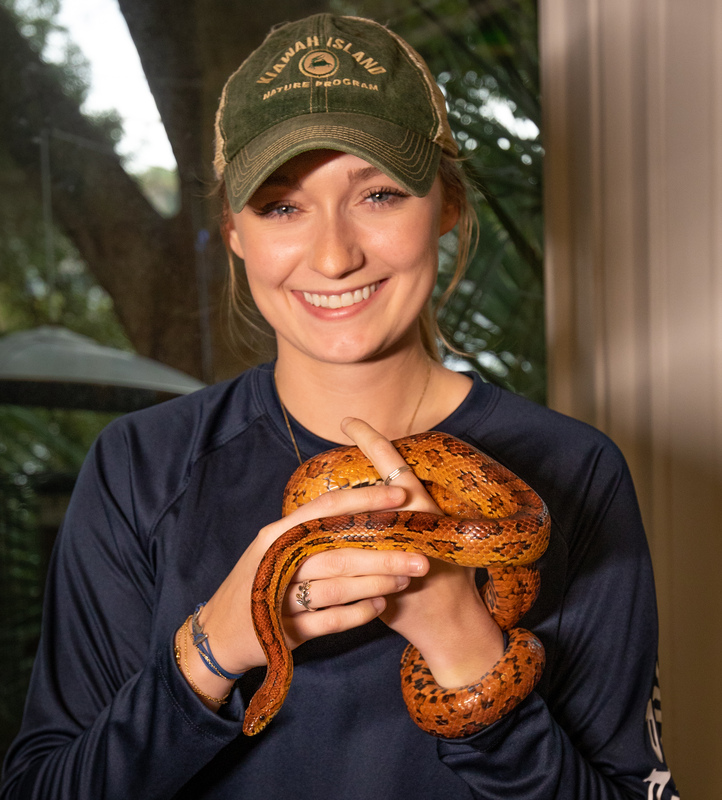 Have you ever held a corn snake or a yellow-bellied slider? Did you know alligator teeth are hollow, and the difference between a venomous and non-venomous snake? 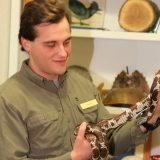 This classroom program provides a hands-on experience with the Nature Center’s alligator, snakes and turtles and is the perfect reptile introduction for your budding Naturalist. Price: $7 per person (1 hour).